dark green turquoise necklace with antiqued sterling silver beads. 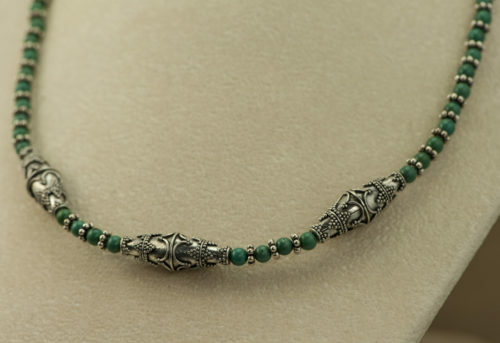 A lovely turquoise necklace – dark green turquoise beads accented with unusual antiqued sterling silver beads. 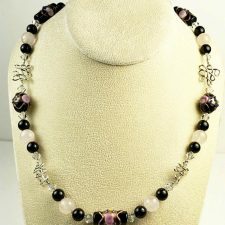 The necklace closes with a magnetic clasp. 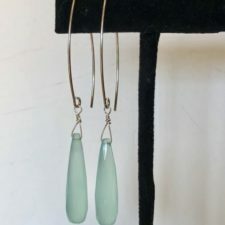 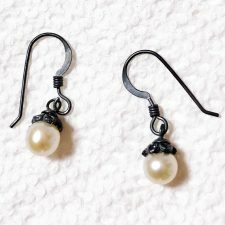 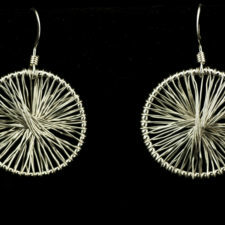 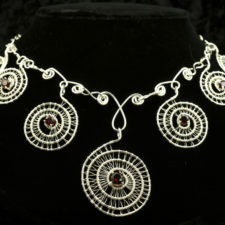 The overall length is 18 inches and the beads are 4-6 mm diameter. 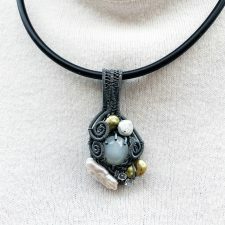 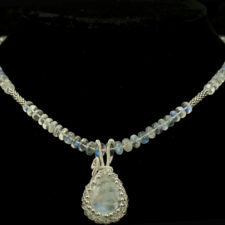 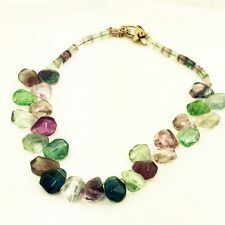 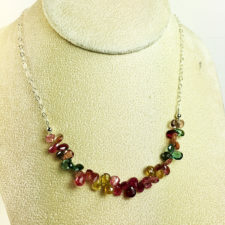 It’s a beautiful necklace for any special occasion and a lovely gift.